Fresh Coast Collective is a thriving and fast-growing Photo and Video Content Creation/Social Media Agency in Southwest Minneapolis. 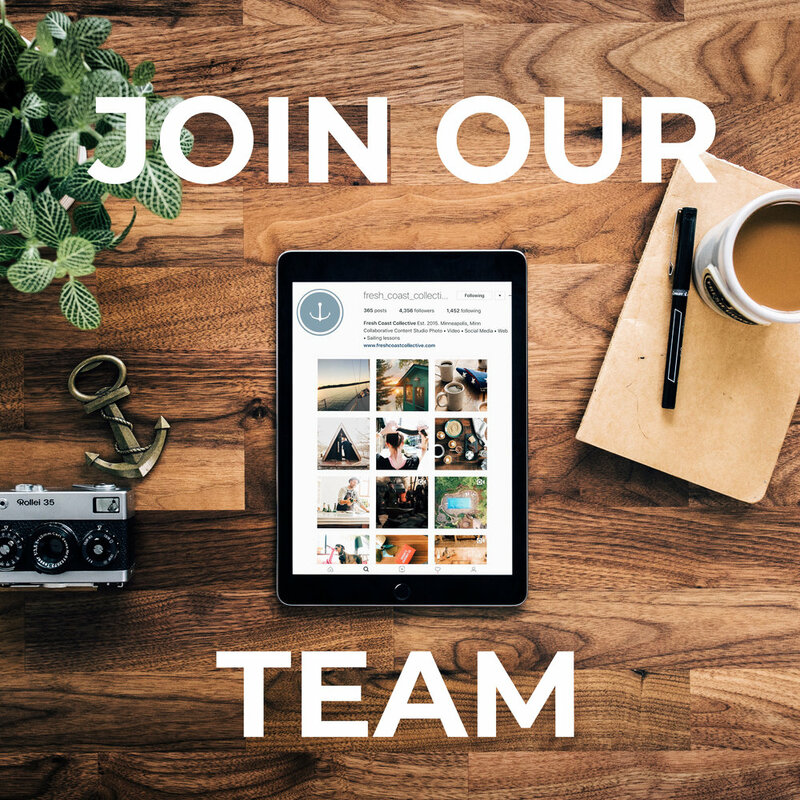 We are looking for a full-time Social Superstar to join our tight knit and hard working team! Our dream candidate thrives at visual storytelling, has proficiency in photo and video content creation, and is a self motivated, fast starting thinker-doer that will relentlessly pursue the success of our many client's social media presences. If you thrive in a small and collaborative team environment where your efforts matter, and are creative in your approach to content production/post production editing and distribution, Team Fresh Coast could be the squad you're looking for! We want you to blow our minds with your on-point social game! In turn, we have a gig to offer that will be rewarding and challenging, with a company culture that is constructive, supportive, energetic, and fun! This is a contract for hire position with strong potential for full time position. This position will pay competitively, based on your experience. Job Duties/Are you a good fit? Manage daily distribution of photo/video/other content to our multiple clients social channels with emphasis on Instagram, and Facebook. Concept, create and manage multiple campaigns such as paid ads, contests, etc. Support ongoing in-house Fresh Coast video and photography production through tasks such as research, mood board creation, styling, photography and videography. Be able take the lead in producing diverse types of content including photo, video, stories, gifs, stop motion, etc. Excellent time management skills and ability to adapt to new situations quickly. Strong organization and digital workflow practices. A self starter who can take direction, and work with the team as well as independently.Well organized and be able to prioritize own workload to meet deadlines. Display a dependable, strong work ethic.